Dave was born and raised in Yakima, Washington, graduating from Eisenhower High School in 1988. He attended the University of Washington and received a Bachelor’s degree in Business Administration in 1992, with honors. After stints as a ski instructor in Mammoth Lakes, California, and working on a fishing boat in the Bering Sea in Alaska, he moved to Missoula to study Literature and Creative Writing at the University of Montana, receiving a second BA in Literature in 1998. Dave then moved briefly to Portland, Oregon, where he worked as an assistant editor and marketing director for a print publication with an environmental focus. He returned to Missoula in 1999, inadvertently taking a job as a golf professional at the Highlands Golf Club. Dave then enrolled at the University of Montana School of Law, where he received his Juris Doctorate degree in 2006. While in law school, Dave was a member of the Environmental Moot Court team, served as President of the Environmental Law Group, and was a member of the Student Trial Lawyers Association. He also worked for Carey Law Firm as a legal intern, where he was hired full-time after graduating from law school. Dave’s practice with the firm involves 100% litigation, with a focus on workers’ compensation, personal injury, employment law, and insurance disputes. 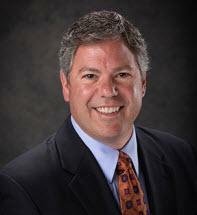 He is a member of the Montana Trial Lawyers Association, Montana Bar Association, and American Bar Association. Dave has co-authored several articles regarding current issues in workers’ compensation for the MTLA publication, Trial Trends, and advocates continuously on behalf of Montana’s injured workers. In his spare time, Dave enjoys working on his golf game, fly-fishing, skiing, mountain biking, bird hunting, rafting, camping, cooking for family and friends, and reading a good book.